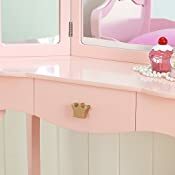 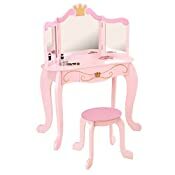 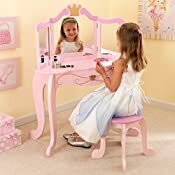 The KidKraft princess vanity & stool adds a touch of elegance to your child’s room. 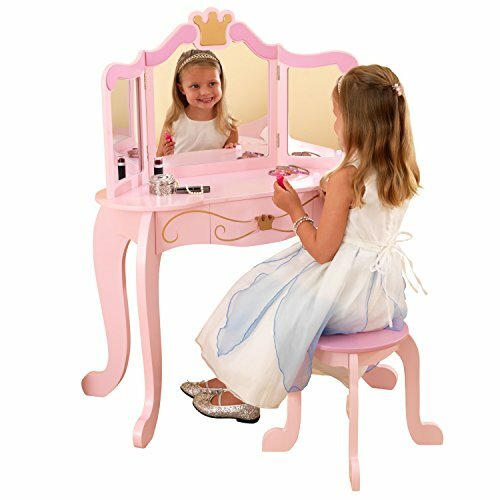 The three-paneled mirror helps kids make sure they look their best and the cushioned stool is fit for royalty. 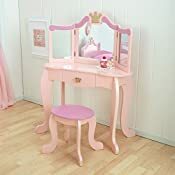 Rich pink tones with gold filigree and crown flourishes transform a bedroom into a royal Palace.